BANGKOK: Thailand’s tourism clocked 13,701,411 visitor arrivals during the first four months of 2018, registering an impressive 13.97% gain. It’s the strongest growth for January to April since 2015 when arrivals surged by 23.21%. For the same four months in 2017, arrivals increased 3.35%. In April, the visitor head count reached 3,092,725. up 9.38% year-on-year, Ministry of Tourism and Sports Permanent Secretary Pongpanu Svetarundra told a tourism assessment meeting on Tuesday (May 15). Thailand’s strong appeal in East Asian markets continued in April with 2,149,095 arrivals (+14.46%) out of slightly more than 3 million total for the month. European markets generated 508,000 visits up by a marginal 0.99%. South Asia, the other notable regions, supplied 153,000 visits, up 12.6%. The top-10 country supply markets in April remained the same as previous months: China; Malaysia; Laos; Russia; India; Japan; Korea; Vietnam; the United States and United Kingdom. China topped the list with 987,000 visits in April alone up by an astounding 31.9%. Critics of mass tourism who warn Thailand is facing an “overtourism” threat say the country should scale back promotions in China’s low-priced package tour markets. The latest figures for April showed Russia making a comeback with 126,000 visits, representing a respectable 18.54% growth. India with 121,000 visits grew 12.94% and Vietnam, now a top-10 country market for Thailand, delivered 89,000 increasing by 14.05%. There were two negative performers. Surprisingly, South Korea with 116,000 visits declined by a marginal 0.47%, but the 12.84% decline in UK visits to 87,000 should set an alarm bell ringing. 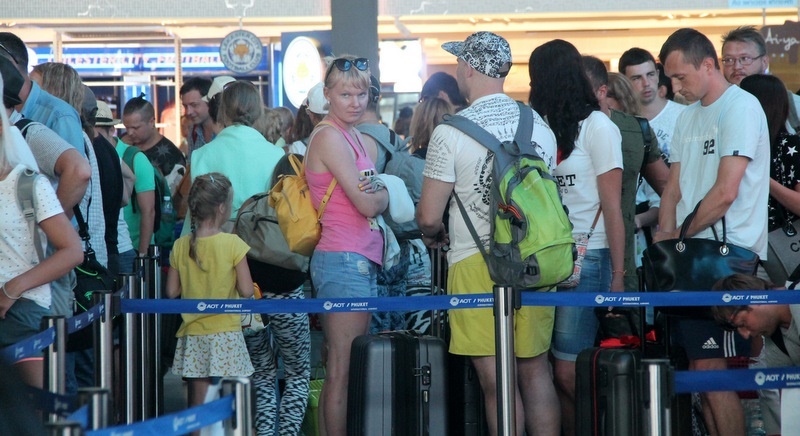 In addition, revenue earned from tourism in April reached B157.44 billion, up 12.52%. In revenue terms the top 10 countries were China, Russia, Malaysia, the United Kingdom, the United States, Australia, Korea, Japan, India and Germany. Arrivals for January to April this year reached 13,701,411, while the ministry estimated the country reaped B730.75bn in tourism revenue, an increase of 17.55% over the same period last year. The estimate suggests that the growth in tourism revenue was highest since the first four months of 2015 when earnings grew 24.6%. Top spend segments are accommodation 28.7%, gifts and shopping 24.4% and food and beverage 20.6%. Is there any thai Authority able to calculate the financial repercussions of nature- and environment damage by 'over-tourism'? See for example the Phi Phi island disaster, the damage of Samui, deforestation, the 'need' for coal-plan electric power factories? etc.